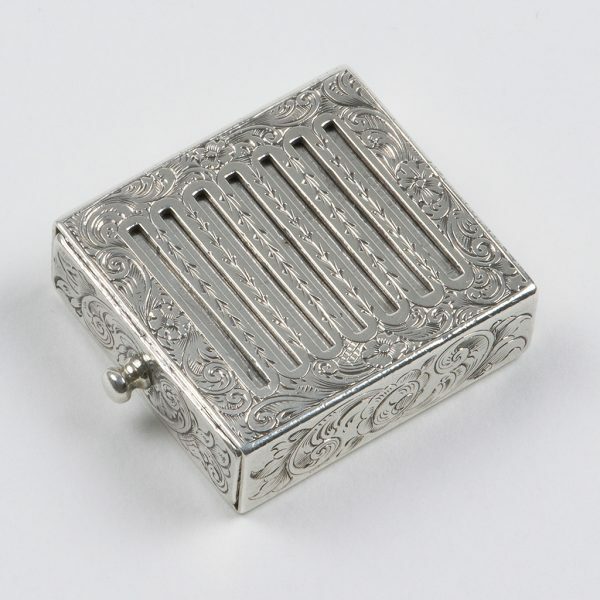 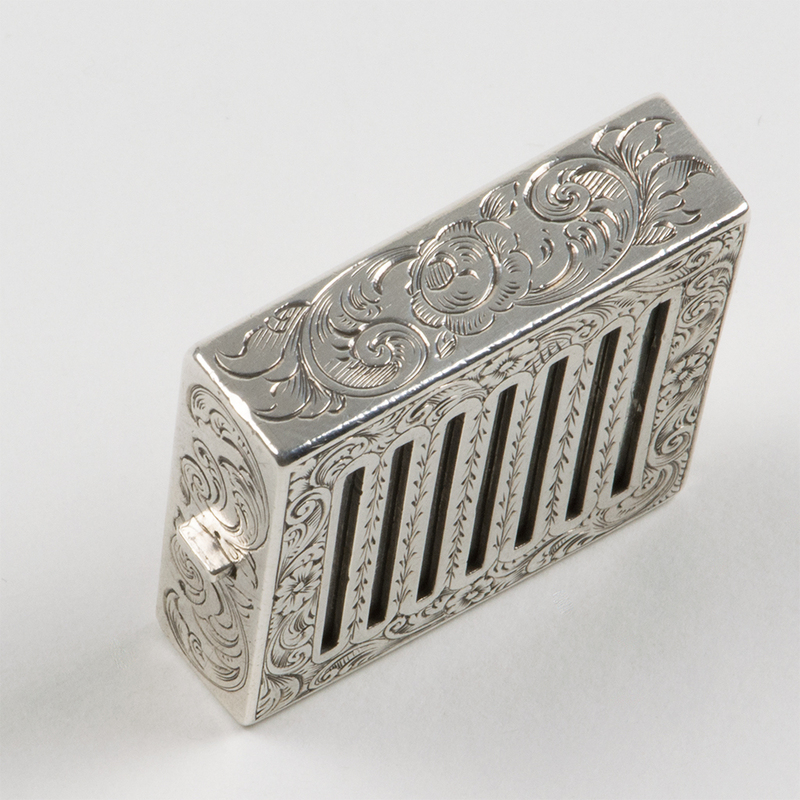 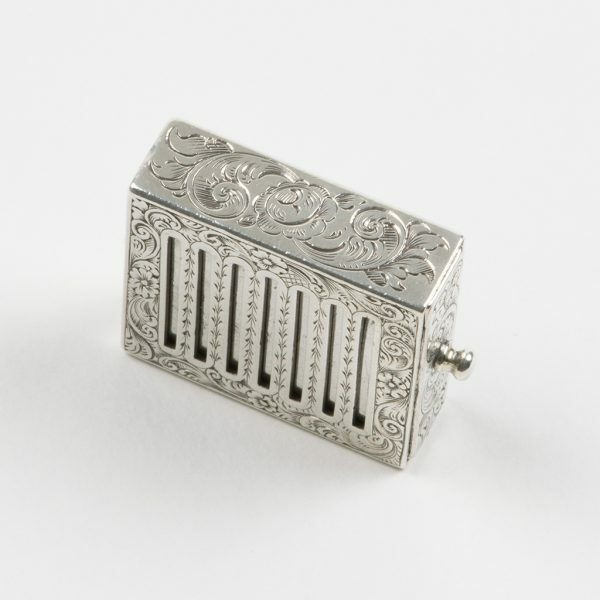 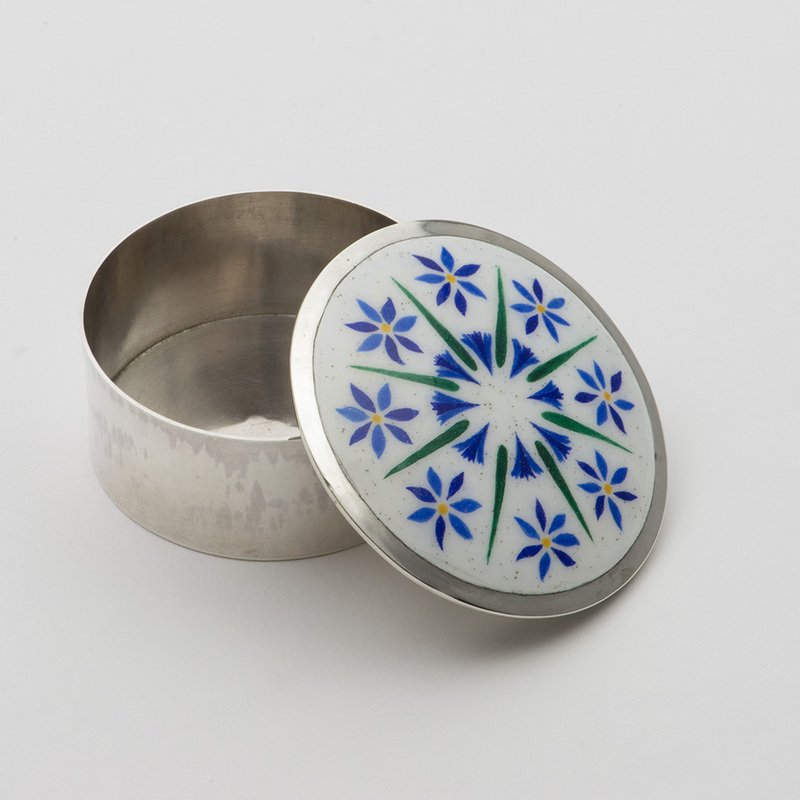 An unmarked Victorian silver Vinaigrette, circa 1840, the grille formed as a series of slats in the top of the box which can be opened by sliding an internal drawer ajar. 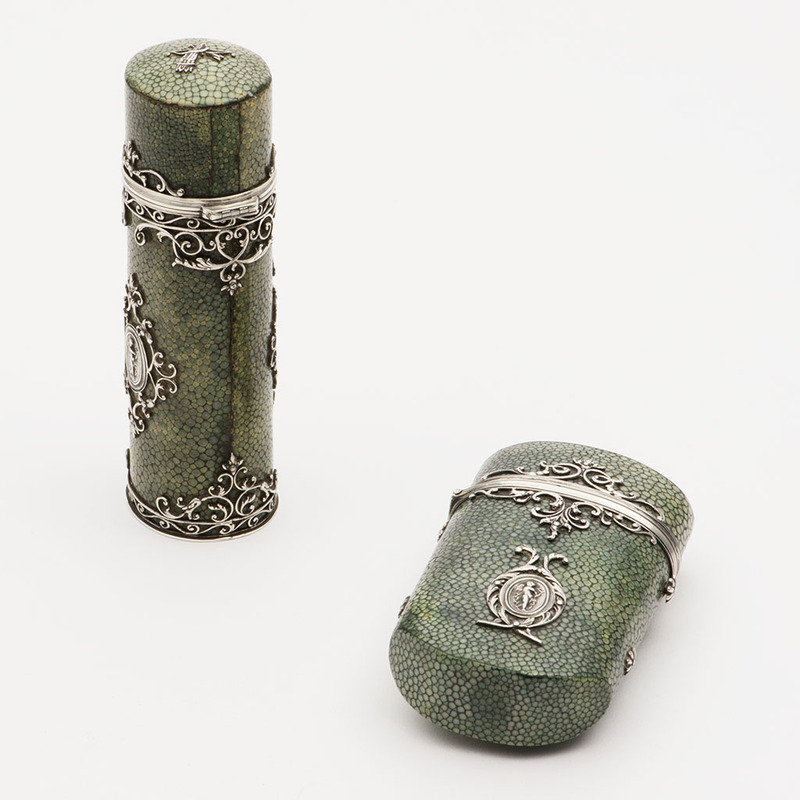 The engraving of floral scrolls is in the manner of Rawlings and Summers. 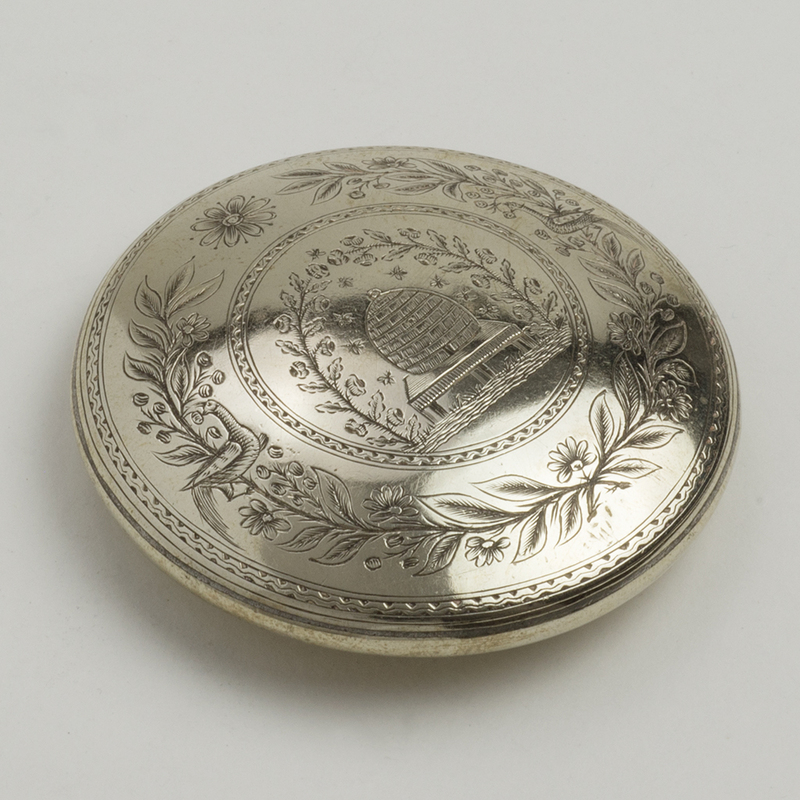 Send Enquiry for An unmarked silver Vinaigrette. 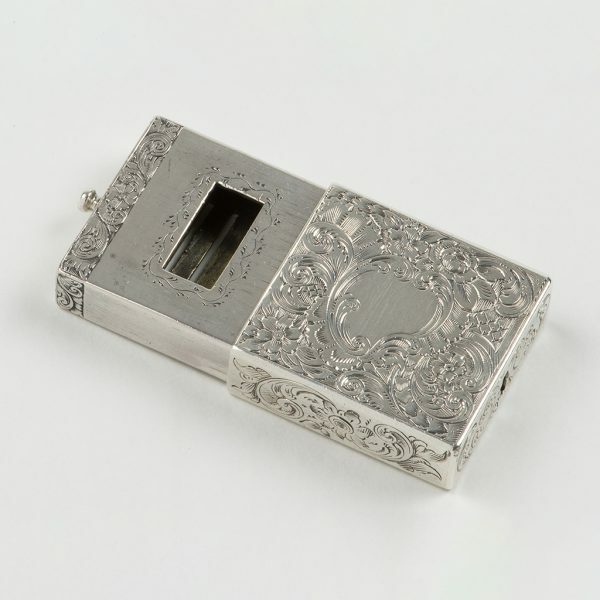 Length – 3.20 cm. 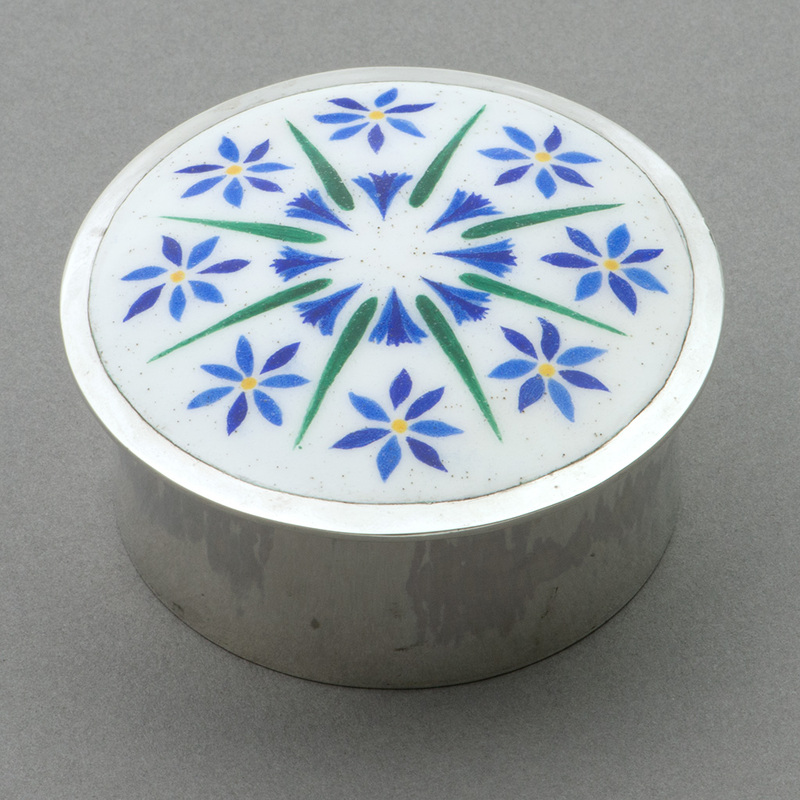 ; Width – 2.50 cm. ; Depth – 0.80 cm. 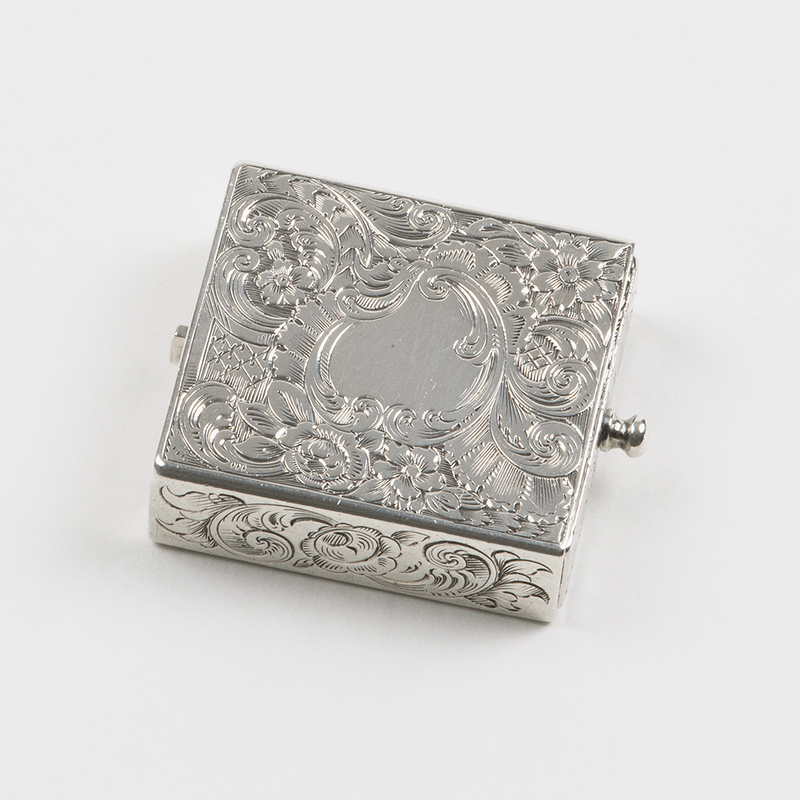 ; Weight – 24.50 gms. 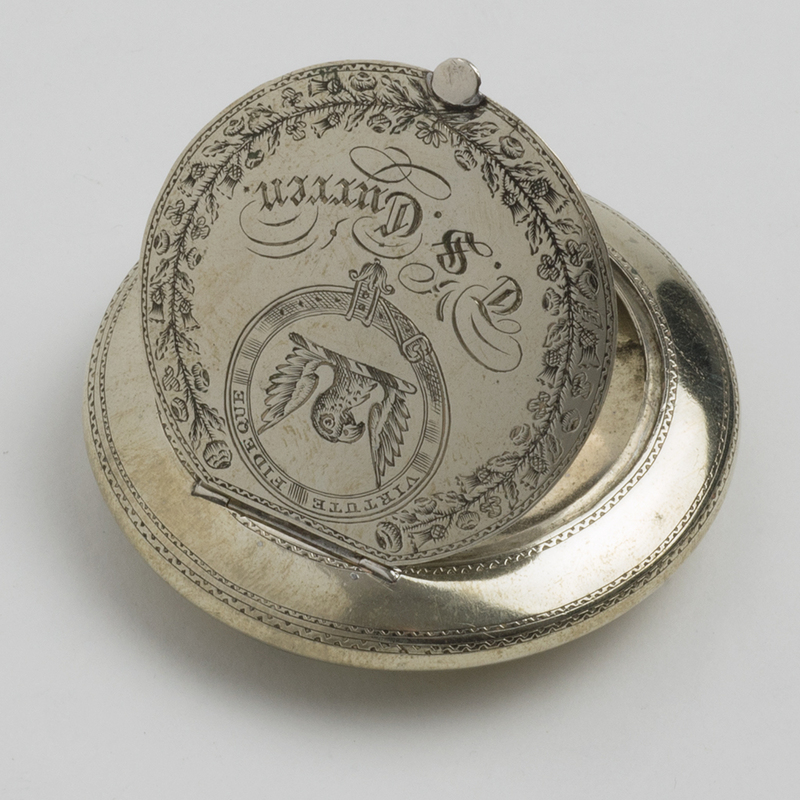 An early 19th century nickel allow Snuffbox. 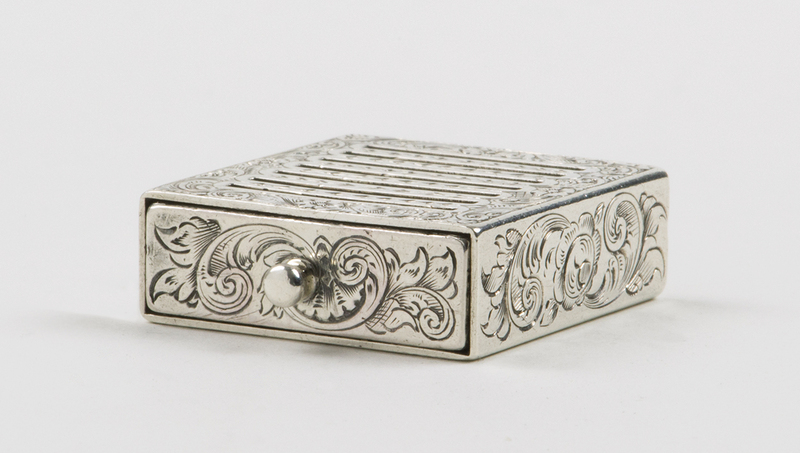 Send Enquiry for An early 19th century nickel allow Snuffbox. 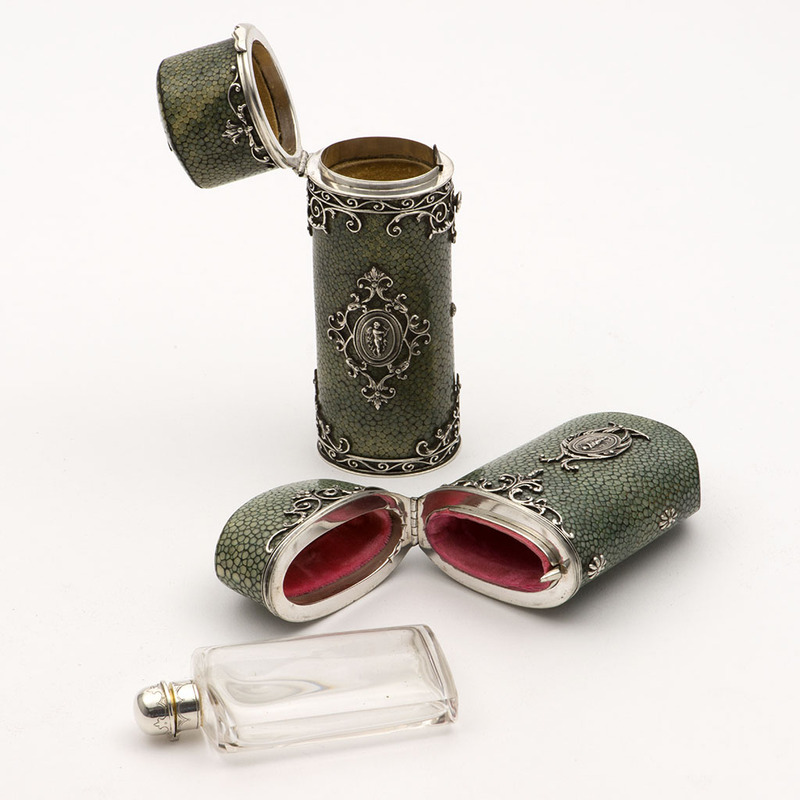 Two late 19th century unmarked silver and shagreen cases. 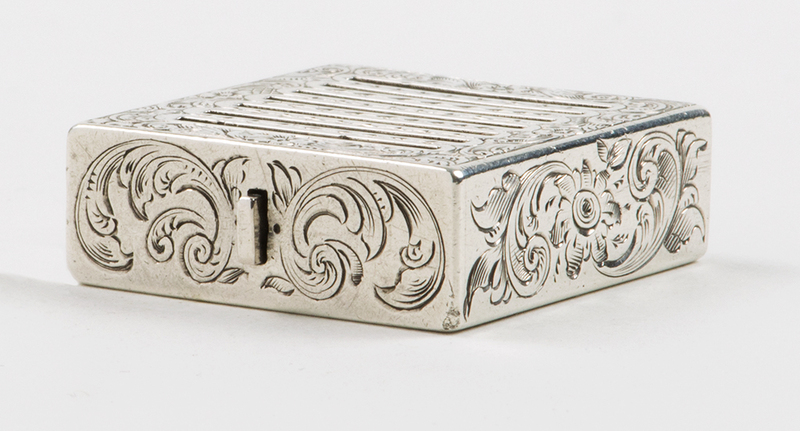 Send Enquiry for Two late 19th century unmarked silver and shagreen cases. 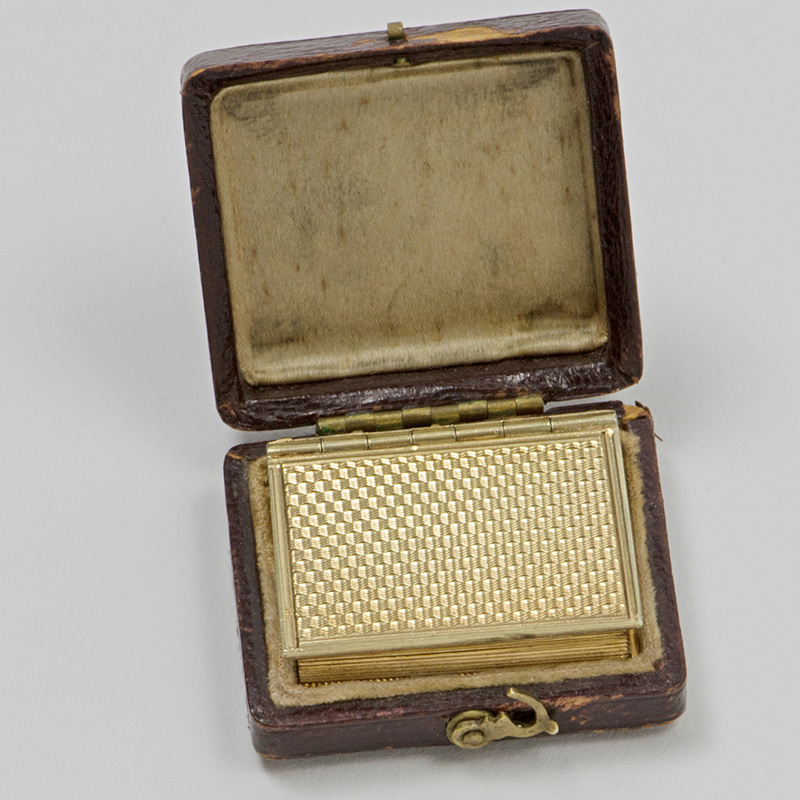 A William IV silver-gilt Book Vinaigrette. 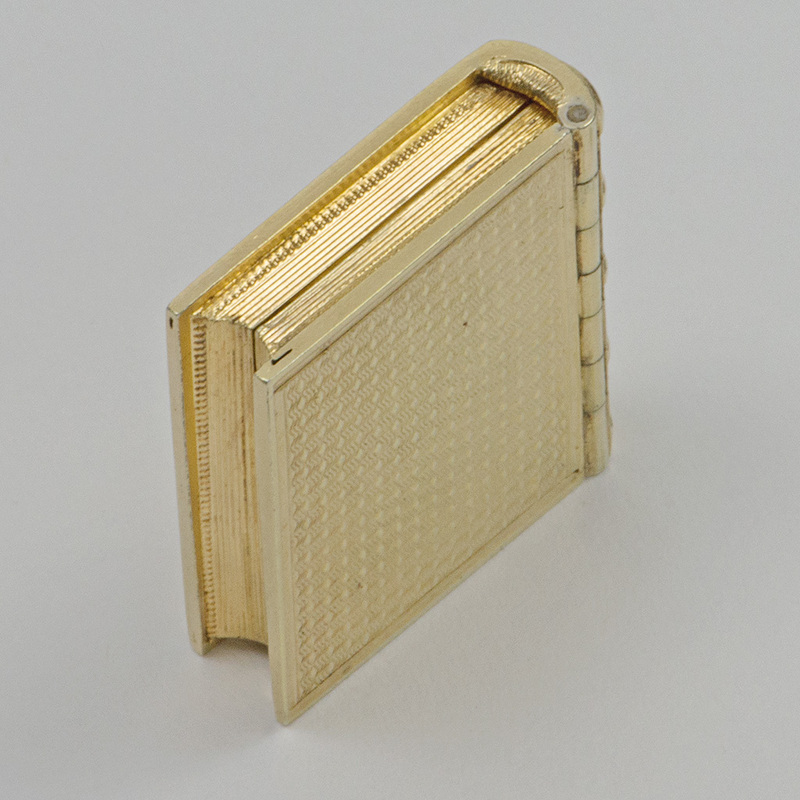 Send Enquiry for A William IV silver-gilt Book Vinaigrette. 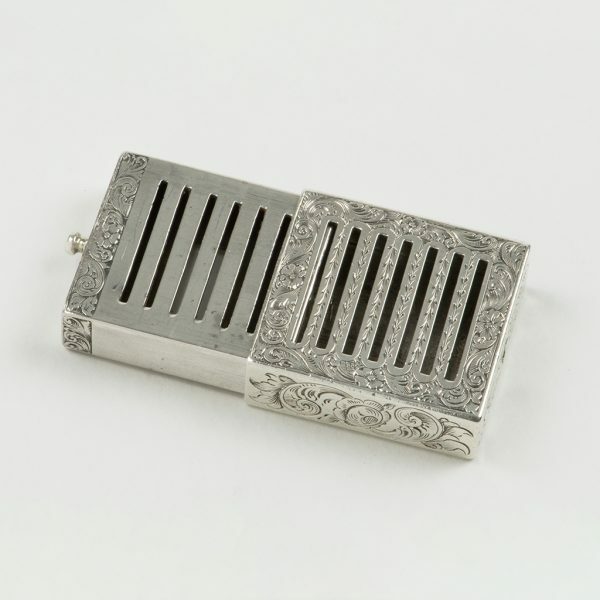 previous post: A Victorian silver Sewing Necessaire with a Seal. next post: A William IV silver Snuffbox.